M.E.C.’s R50 Series samplers provide a convenient method for monitoring RF signals and have almost no impact on VSWR or insertion loss. However, unlike more complex directional couplers, these samplers have no inherent directivity and equally sample signals propagating in either direction. They are therefore more appropriate for use in well-matched transmission lines. Samplers are ideal for monitoring frequency, power level, in feedback loops and as diagnostics ports. 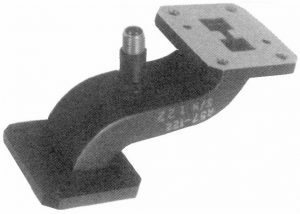 Samplers may also be integrated into other components such as high power terminations, waveguide assemblies and coaxial adapters, thus eliminating a flange junction. 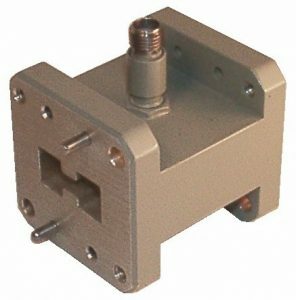 The standard length R50 Series samplers have cover flanges with alternating tapped and clearance holes (C-1), while the shorter R50-S series have cover flanges, all tapped (C-2). 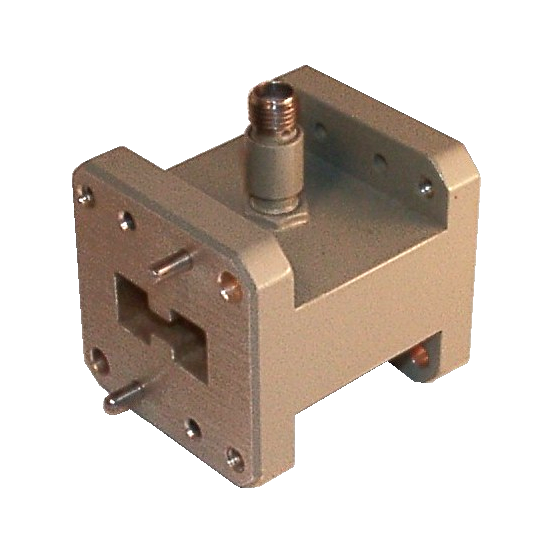 A selection of coaxial connectors is available covering a full range of power levels, frequency bands, and environments. Units are made out of aluminum, finished via chromate conversion per MIL-C-5541, Class 3, and painted with gray epoxy enamel. FREQUENCY: Specify actual desired frequency band. 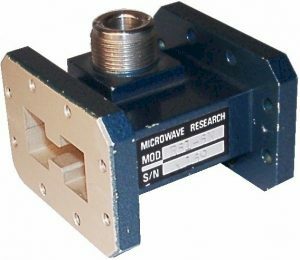 EXAMPLE: R57-40-3-6.5-18.0 is a WRD-650D28 waveguide, 40 dB sampler with SMA female connector operating full band from 6.5 – 18.0 GHz. (2) Other connectors, couplings, and bands are available upon request.